I know I've already gone on and on about how much I love the Planetarium kits at Studio Calico this month and I shared the Project Life spreads I made here. 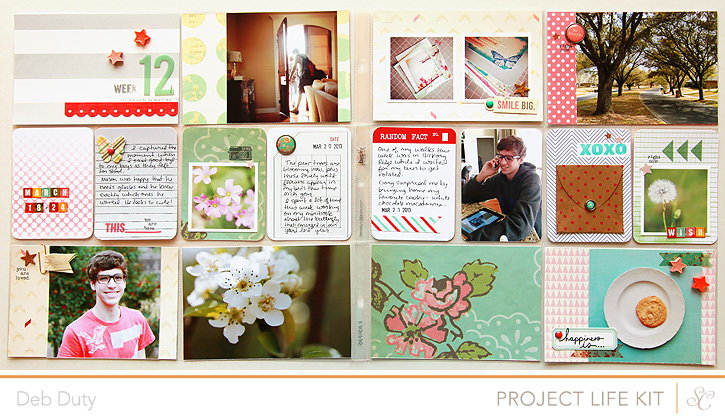 So today I'm sharing some of the layouts I made with the May kits. Cupcakes are very photogenic, especially when you buy them at our local cupcake store, Cupcake Couture, and they taste pretty good too. 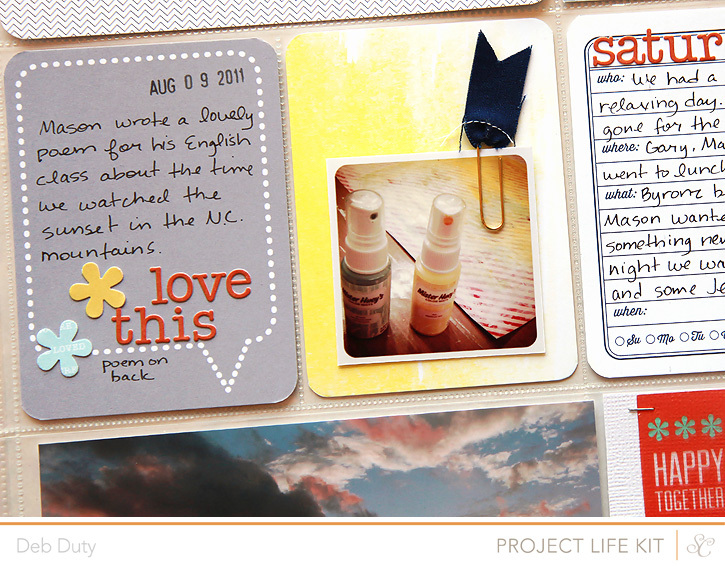 :) I tried something new on this layout - the watercolor papers and water brushes available at Studio Calico. Hopefully the papers will be restocked soon. If not I found a similar set at Amazon, but it doesn't seem to include as many different colors as the set at Studio Calico for the same price. I know the paper looks kind of bumpy from getting wet with the watercolors. 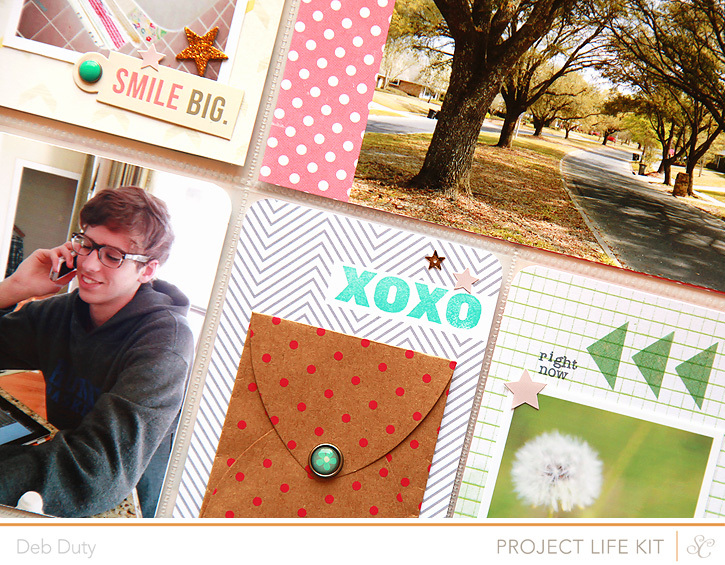 I learned from my friend, Suzy, the fix is to use a glue stick to attach the layout to a piece of cardstock. Then use a brayer to flatten it out. I tried that the next time I made a layout with the watercolors and it worked great. I might still go back and fix this one, but I thought it may be difficult with the embellishments already on. 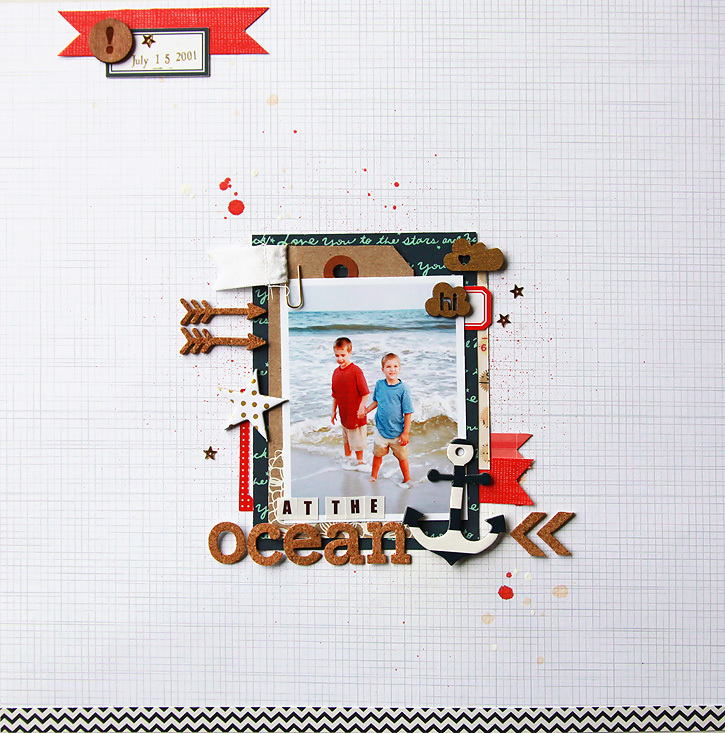 This next layout is a sweet photo of my boys at the beach when they were almost four and six. 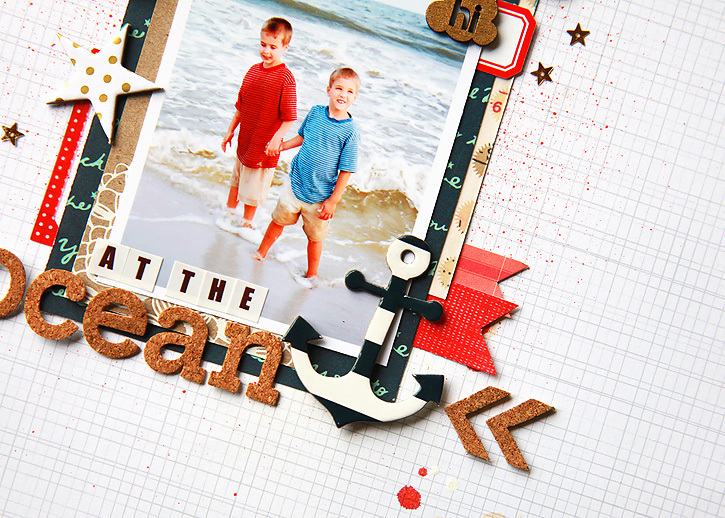 I started with the cute striped anchor and added the cork arrows and alphas. 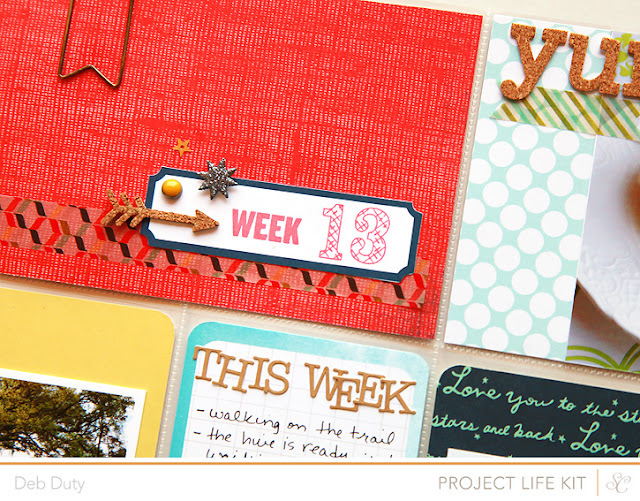 The navy paper from Dear Lizzy was perfect along with a few touches of red. 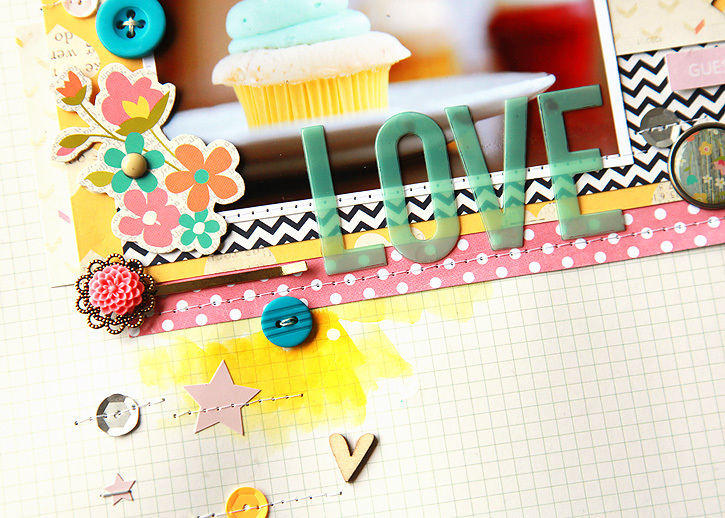 The last layout was fun to make... 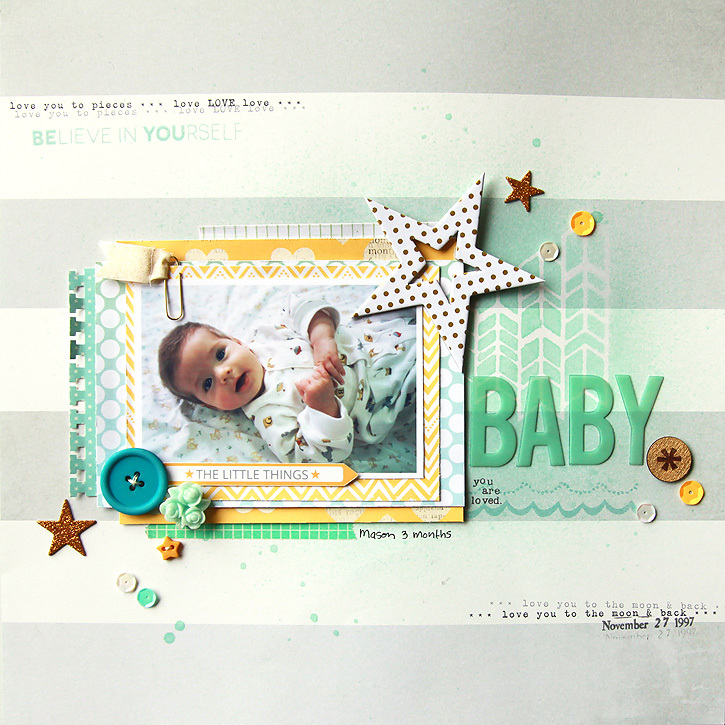 I haven't scrapped any baby photos since way back when they were still babies! Mason is three months old here. 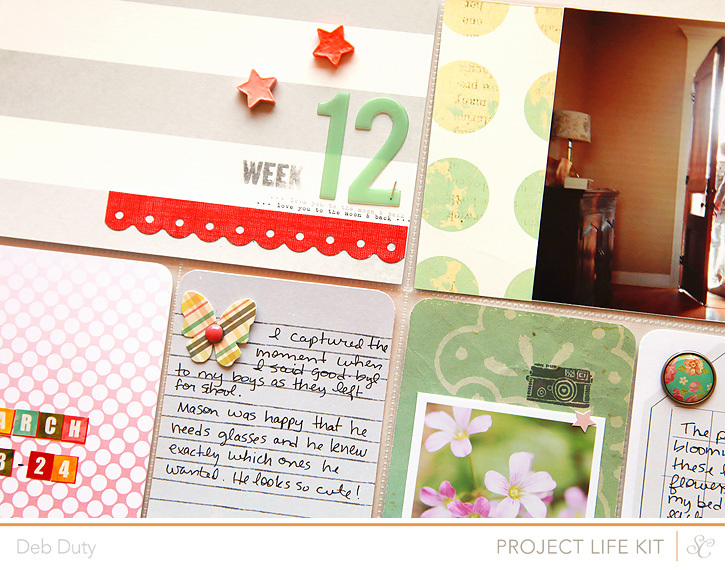 My starting point this time was that gorgeous wide grey and white striped paper from Elle's Studio. I used the mask from the Neverland kit with some mist as the base before I started adding the lovely papers from the Planetarium kits. 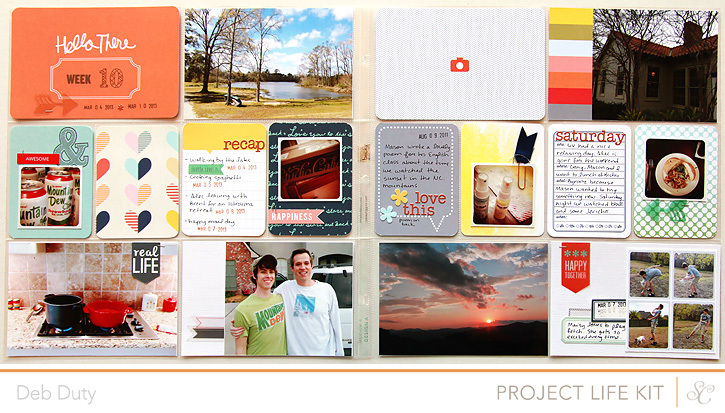 Some products used on these layouts are linked below. 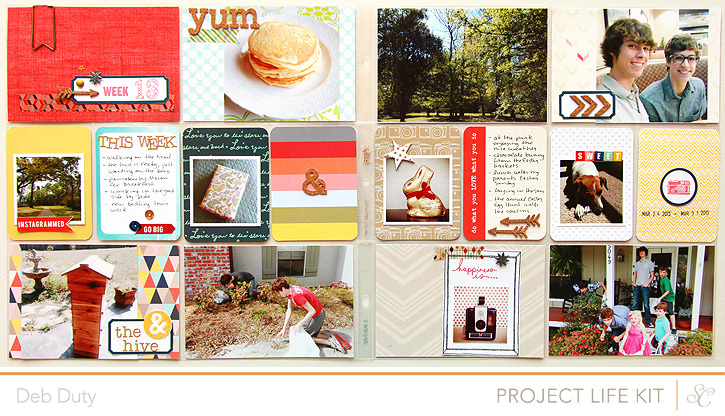 I am so excited about the reveal of the Studio Calico May kits, Planetarium!! These kits are gorgeous!! For the first time ever, I ordered every single kit. When they arrived I was not disappointed. 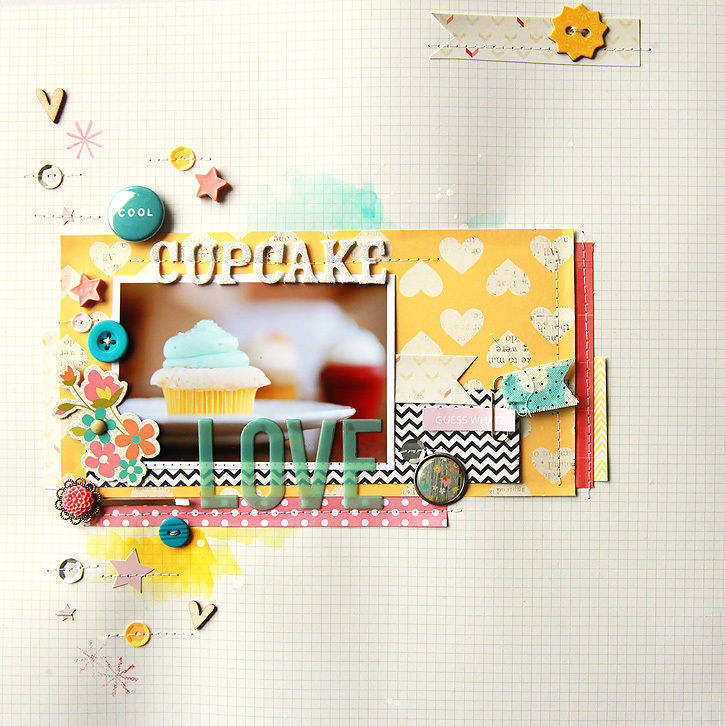 There's just so much to love - the cork alpha and arrows, the little fabric flags, the wood veneer clouds, that big floral paper from Cosmo Cricket, the stamps... I could go on and on! It's hard to say one kit is my all-time favorite because there are many that I love, so let's just say it's in my top three along with So Cal and Block Party! 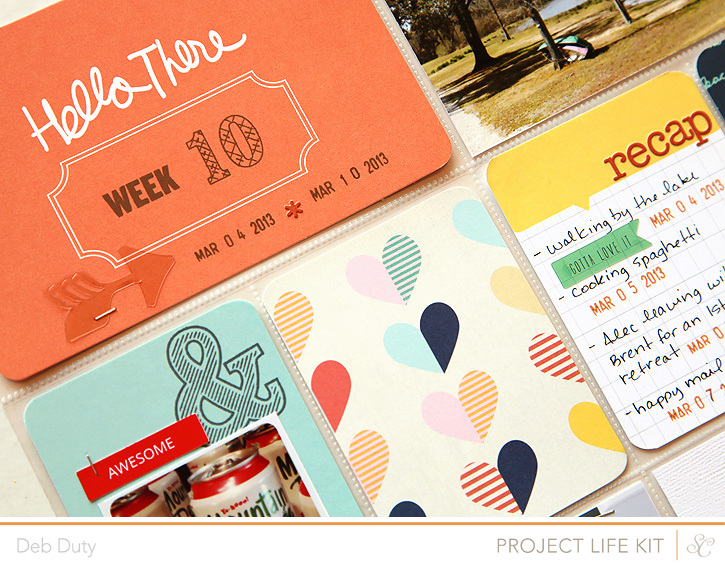 The Project Life add on stamp was designed by Paislee Press this month. It's so fun with some hash tags, tabs and that cute frame! 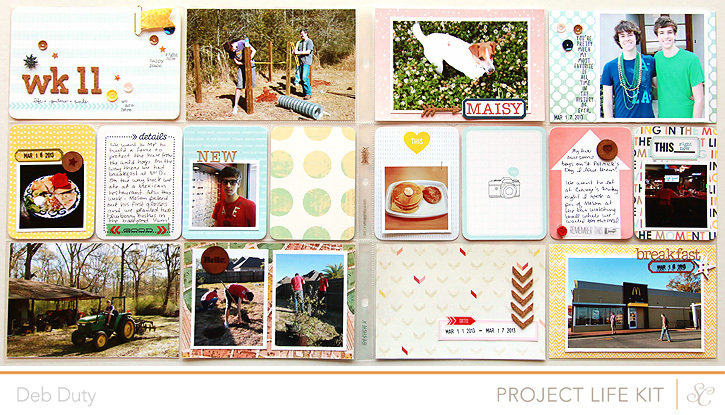 Here's what I made with Planetarium - four Project Life spreads! 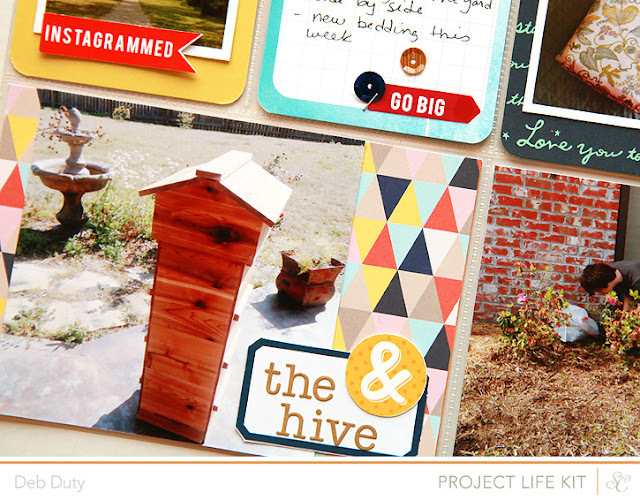 I also made a few layouts that I'll be sharing next week. 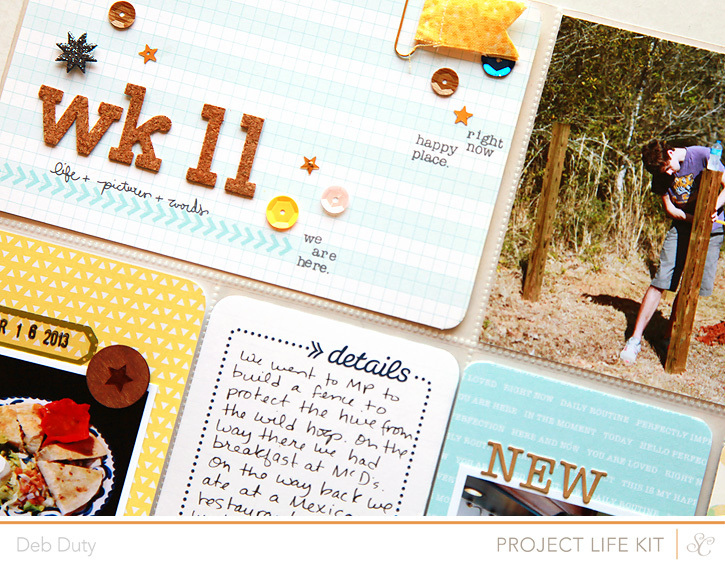 Clicking on the image will take you to the Studio Calico gallery where you'll find detailed shots and a list of which kits I used to make each spread. I'll be back soon to share the rest of the projects I made with Planetarium! 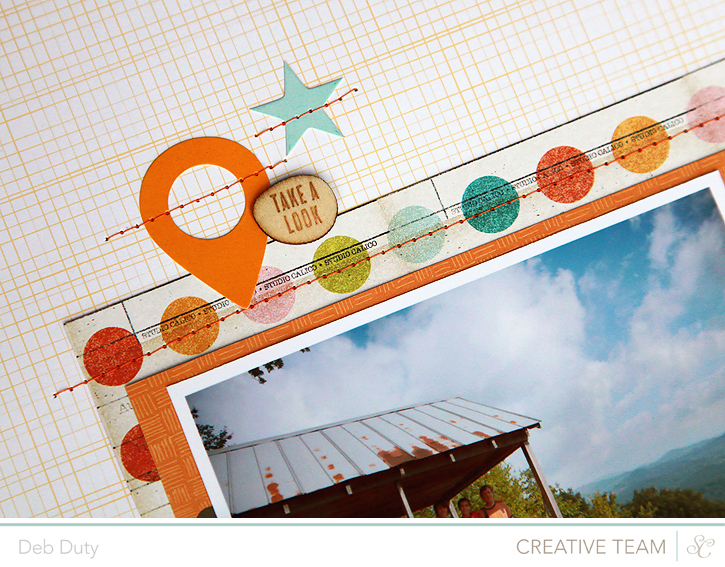 The photo in this layout is from a trip to the North Carolina mountains two years ago. 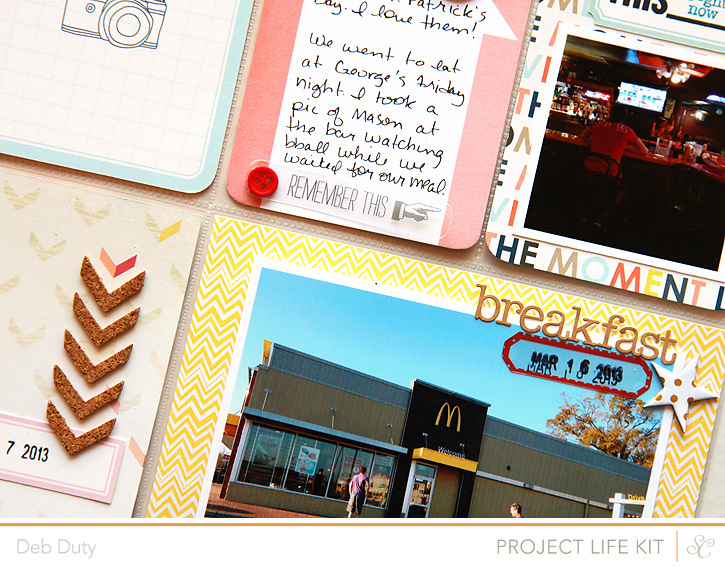 Vacations are my favorite subject to scrap... they're always such good memories. 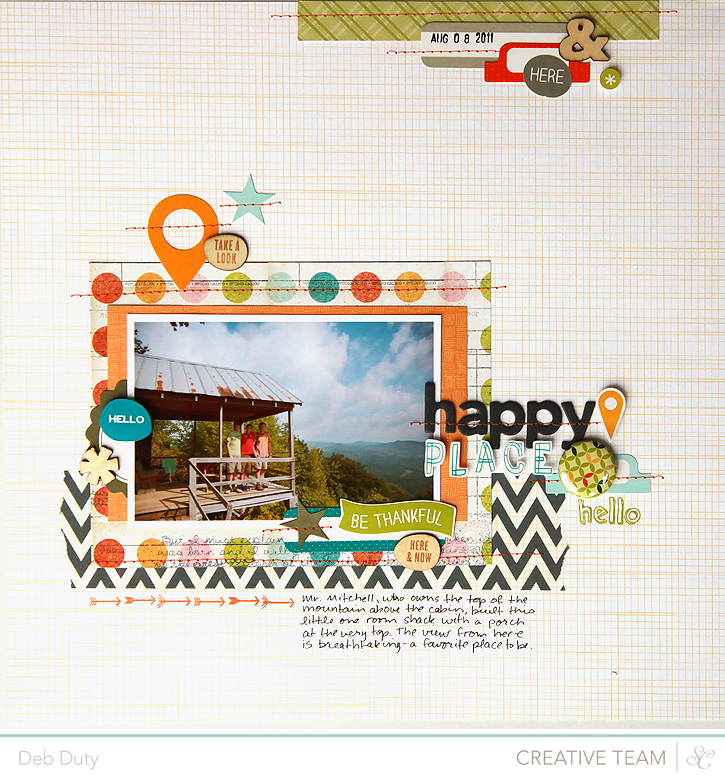 I used the Studio Calico Here and There collection which has great color combinations! I did some stamping and stitching and this time I even changed the color of the thread in my sewing machine to orange! 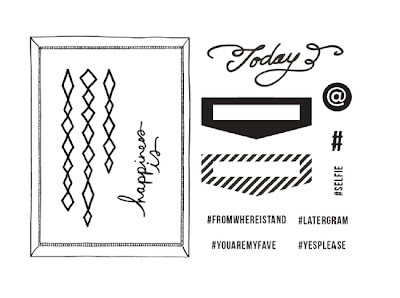 I love wide washi - especially this grey and white chevron (from the Spencer's kit) that I used to anchor my photo and patterned papers.